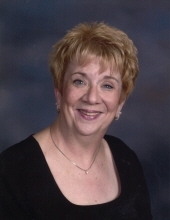 Lee (Virginia-Ginny) BeVier Berry, 73 of Tiffin, and formerly of Sandusky, Ohio, lost her battle with cancer on March 20, 2019 in Wheatridge, Colorado Lutheran Hospice. She was born in Sandusky, Ohio on November 19, 1945, daughter of the late Delbert and Lila BeVier. On September 17, 1977 she married W. Steven Berry who preceded her in death on January 2, 2016. She was also preceded in deathy by her stepson, Steven Thomas Berry. Lee graduated from Sandusky High School in 1963. She was a proud and loyal graduate of Ohio State University, with a Bachelor of Science Degree in Eduacation, class of 1968. She taught school in Columbus, Ohio and the Sandusky area. She worked at the former Providence Hospital of Sandusky. She was a member of St. Mary's Catholic Chrch. She is survived by her beloved brother, Ray BeVier of Thornton, Colorado, three dear and beloved nieces, Tammy (Jon) Wilkins and their children, Oliver James, Nicholas Joseph, Isabelle Kathleen, Jon-Paul, and Frances Raymend, also of Thornton, Colorado, Rene BeVier-Dill (Brandon) and their children Jackson Ray, Eliot Eugene and Josephine Rose of Westminster, Colorado, and Danielle BeVier Yukorvich (Karin) children Ethan Curtis Schroeder and Davis Oton Schroeder of Costa Mesa, Calirfornia. Ginny is also survived by dear and beloved friends, neighbors, several cousins, and her dear friends that she called her "kids", Shannon Kander and Chad Ferguson. The Funeral Mass will be March 29th at Immaculate Heart of Mary Catholic Church in Northglenn, Colorado. There will be a 10am rosary followed by mass at 10:30 am. She will be buried at the Greenlawn Cemetery in Plymouth, Ohio next to her beloved Father Delbert BeVier, husband Steve Berry, and other relatives. We will celebrate her life with a burial in Ohio at a later date. To send flowers or a remembrance gift to the family of Virginia Lee Berry, please visit our Tribute Store. "Email Address" would like to share the life celebration of Virginia Lee Berry. Click on the "link" to go to share a favorite memory or leave a condolence message for the family.